Yes! Now, customize your own t-shirt! Enable a professional touch to your existing t-shirts – personalize them with your creativity. 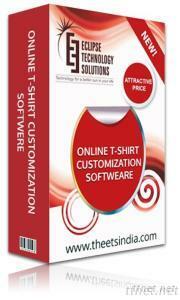 Being First Time in India – this online t-shirt customization software targets the best in the industry. Enabled with a virtual trial room – you can enjoy as many changes as you want. What else? Stop bothering and gift your family and friends your customized t-shirts. Well, enabled with the ultimate requirements of customizing your t-shirts, this software delves deep in ensuring your cuts and prints and perfect. Do you want to know more? Call ETS and get your Free Consultation today! Adhere to our seasonal offer of FLAT 20% OFF and get more than you can actually anticipate.